Our Gas Safe Engineers work around the clock to provide a 24 hour gas safe service. We can help you with any emergency or planned gas safety work. We can visit your home or business in a gas safety emergency or at a time to suit. We are flexible to suit your personal or buisness hour requirements. When we turn up to your property we will have a good idea on how to complete your gas safe job. We keep you updated at all times. Your local, fully qualified, gas safe engineer can attend your home or business to service and check your gas appliances. Once checked and certified we can then issue you with a gas safety certificate. We are available 24 hours a day, 7days a week and we can attend emergencies or planned work. Landlords have a legal obligation to ensure their property is gas safe for tenants. Give us a call to check and issue you with a routine landlord gas safety certificate. In addition to gas safety checks we can service your gas appliances. Servicing gas appliances such as fires and cookers can prevent future safety problems and break downs. Once your gas appliances and property has passed a full gas safe check, we can issue you with a gas safety certificate to prove it. We can help if you’re a landlord or not. Gas safety checks for your appliances are recommended to avoid gas safety emergencies. Keep your property gas safe. We recommend an annual boiler service to minimise and prevent boiler problems, so your boiler doesn’t leave you in the lurch. Frequently Asked Questions about our Gas Safety Certificates Service? As a landlord you have responsibility for ensuring the safety of your tenants. Part of this is the legal requirement for your rented property to have an annual gas safety certificate issued. Our gas safe engineers are fully qualified and registered to check your entire property’s gas safety. We can then issue you with the Gas Safety Inspection Certificate (CP12). 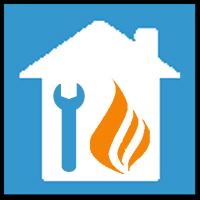 We will check all your gas appliances, flues and gas pipes to ensure your property stays gas safe. The certificate you receive will state a description and location of all the gas appliances checked. The gas safe engineers details, date, property address, landlord details and the results of the safety checks carried out on the appliances. 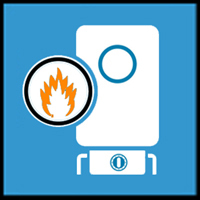 A gas appliance service includes all the gas safety checks. Additionally, it checks the gas appliance specifically including checking the seals, parts and for any corrosion. Our gas safe engineer will repair, maintain and internally clean your gas appliance if required. A regular service on your gas appliance will increase the efficiency and reduce running costs. It is important to also check your appliances are safe and there are no gas leaks. 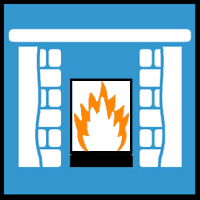 A local gas safe engineer can attend your property to check your appliances including gas fires, ovens and hobs. Although a gas appliance safety check is only required by law for landlords, we recommend gas appliance safety checks on your property. You can then rest assured that your property is safe from carbon monoxide and gas leaks. Our experienced gas safe engineer will check your home gas appliances are installed correctly. This will ensure they are suitably located, set up correctly, not precarious, have suitable air supply/vents etc. It is important to check that flues and chimneys are not blocked and any safety devices are functioning. Be safe and know that your gas appliances are all safe to operate. If we come across any gas safety issues we will inform you immediately and ensure your property is safe. If your central heating is not igniting your radiators will be cold and so will your property. One of our plumbers can investigate and solve the problem for you. Hot water cylinders can leak and rust which occasionally can be fixed if mild problems. But often the cylinder will need replacing in these circumstance, so call our plumber now to arrange a time to call and sort a solution for you. Central heating controls can stick or not work resulting in you not being able to adjust the temperature of your property. Our plumbers are experienced and can fix this in no time. An annual boiler service can save you money by preventing unexpected boiler failures. This has a positive effect of increasing the efficiency of your boiler and so reduce your energy bills. Your fully qualified gas safe engineer will attend your property and check your boiler for leaks, pressure, controls, ignition. We will inform you of issues and carryout any maintenance work needed. If your boiler is old, tired and needs replacing we can also recommend suitable replacements if you need them. Just let our local plumber know and we can help you straight away.